As soon as we put the clocks back at the end of October, the onset of winter seemed to arrive. Dark nights, cold mornings and the prospect of scraping frost from the car windscreen before we set off to work sends a shiver down the spine. So the prospect of some winter sun is certainly an enticing one. And the good news is that you may not have to travel as far as you think to take advantage of some warmer climes. This rocky, sun-baked region on Spain’s southern coast, embodies much of what the world thinks of as Spanish: flamenco, tapas, sherry and bullfighting all originate from Andalucía. Yet it was under Moorish rule from the 8th-15th centuries. The Moors were a mixed race of Berbers and Arabs who crossed into Spain from Morocco and North Africa, where they occupied Al-Andalus for over seven centuries. Their first forces landed at Tarifa in 710 AD, and within four years they had conquered virtually the entire country; their last kingdom, Granada, fell to the Christian reconquest in 1492. Between these times, they developed the most sophisticated civilization of the Middle Ages, centred in turn on the three major cities of Córdoba, Seville and Granada. Their legacy can be seen in some of the region’s architecture, including such landmarks as the Alcázar castle in the region’s capital city of Seville, as well as Córdoba’s Mezquita Mosque-Cathedral and Granada’s Alhambra palace. The Sierras of Tejeda, Almifara and Alamar Natural Park are a far cry from the beach-centred tourist hotspots of the Costa del Sol. Designated a natural park in 1999, this large and rugged mountainous region stretches across the provincial border of Granada and Málaga. Its western part in Málaga province is known as the Axarquía and is famous for its attractive villages dating from Moorish times. It is also superb hiking country and its numerous steep mountainsides make it ideal for climbers with its highest peak of La Sima de la Maroma reaching 2,080m. As well as this spectacular mountainous terrain, the area also boasts many caves, the most famous being those at Nerja. 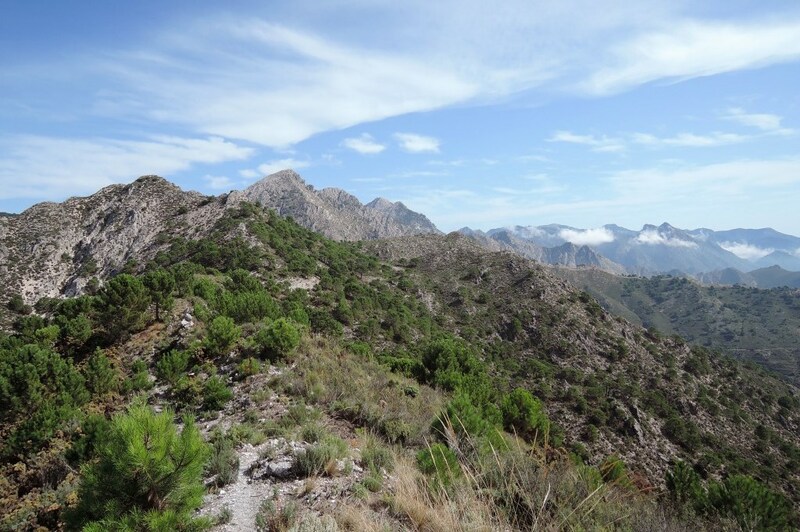 Others are near the aforementioned highest peak, and close to the village of Canillas de Aceituno. Its abundance of caves makes speleology a popular activity here with both the locals and tourists. The Sierra Almijara has one of Spain’s most important areas of dolomitic marble, which gives the landscape its characteristic grey and white hues where erosion has broken down the marble into small stones. The main rock in the Sierra Tejeda is limestone, which has been severely weathered leaving behind a dramatic landscape riddled with steep-sided ravines and plunging cliff faces. Andalucìa produces one-third of Spain’s olive oil and a colossal 10% of that used in the world. And in areas like Jaèn it is easy to see why, as regimental line after line of olive trees stretches as far as the eye can see. In Jaèn more than 4,500 square kilometres are devoted to olive groves containing around 40 million olive trees. During an average year, these trees produce approximately 900,000 tonnes of olives, most of which are turned into some 200,000 tonnes of olive oil during the harvest season from late November to January. Much of the harvest is still done by the traditional method, which is to spread a cloth or net beneath the tree and then beat it vigorously with sticks. On small olive groves this can involve the whole family and be quite a festive occasion. 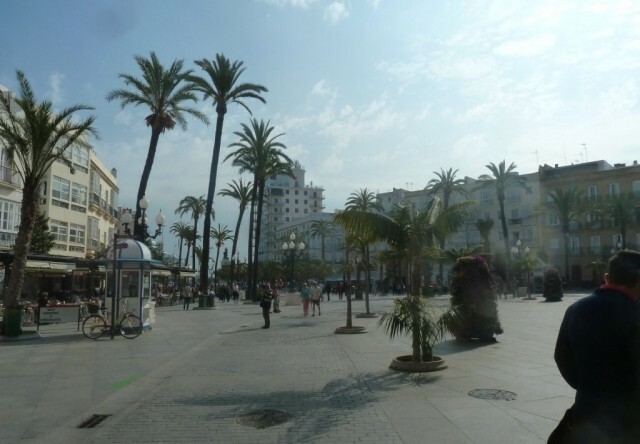 Another distinctive – and charming feature – of Andalucía is the sprinkling of pretty pueblos blancos, or white towns and villages. These collections of whitewashed buildings are impressive historical monuments, and the local people still live according to age-old traditions, inherited from their Iberian, Roman and Moorish forefathers. 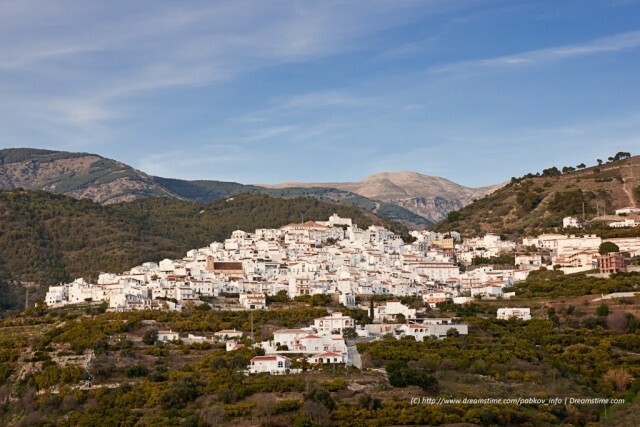 Many of these villages near the coast have become fashionable resorts, while still conserving their ancient charm, whereas others, lost in the highlands of Andalucía, remain rough and ready olive-farming towns, with a special appeal for the more adventurous traveller. Why not try it for yourself?